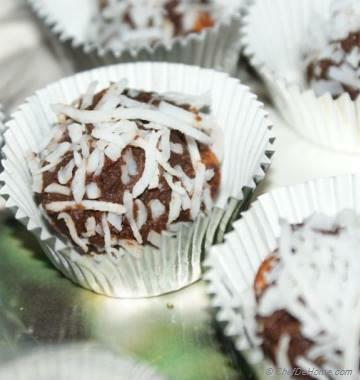 Hard boiled eggs cooked in aromatic spices and coconut - gluten free. 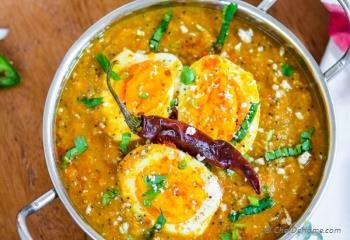 A spicy, flavorful, and easy Indian Egg Curry with hard boiled eggs cooked in aromatic Indian spices and coconut. 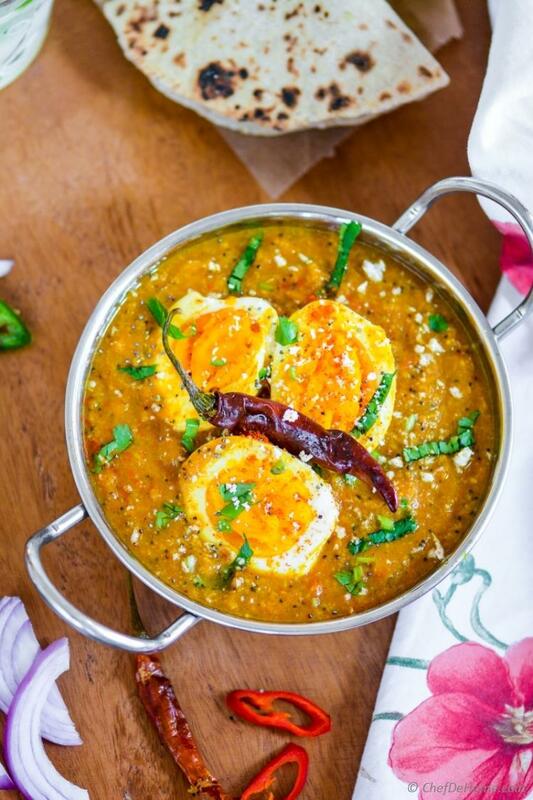 This simple egg curry is THE best way to serve Indian Dinner under 25 minutes! 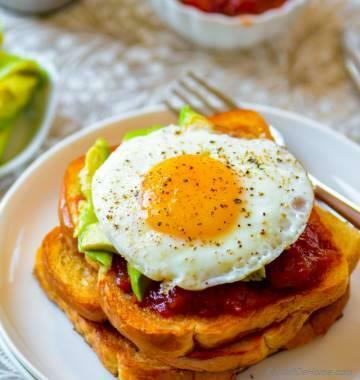 Be a non-vegetarian, or a vegetarian egg-tarian, eggs are a favorite breakfast, lunch or even dinner ingredient in many homes and my home is no exception! 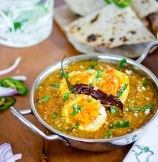 Egg Curry is a versatile curry which people love to enjoy for meaty meatless dinner. My family is not vegetarian, but in my home, there are many days in week when we don't eat meat. On other days, even though I cook meat for Vishal, I love cooking a vegetarian curry for myself. If you follow my blog, I have shared many meat-main-course recipes in pairs: meat version and meatless version. However, sometimes..... Vishal will adjust and say... Just make one curry and I'll eat vegetarian :) And I know what he mean by ONE curry.... it means a vegetarian curry with eggs in it a.k.a Egg Curry! This is one curry which we both enjoy equally! 1) First, quick cooking time, just 25 minutes from kitchen to dinner table. How good does that sound? 2) Second, flavor!!! Seriously, few boiled eggs do magic to any gravy you add it to and if it happens to be a curry-based gravy, the flavor-explosion happens!! I'm telling ya'll, if you are fan of Indian Chicken Curry, you will NOT miss chicken for a second in egg curry!! I promise! I've been all about eggs so far, but I have to tell you, today's egg curry is also special for the kolhapuri masala gravy. Few years back, I was on an official trip to Pune, Maharashtra, a city in Western part of India. After my day's work in office, few of my colleagues took me to a local eatery which specialized in traditional regional curries. Everyone recommended me to try their Kolhapuri Curries which were THE most ordered dishes on their menu. Kolhapur city is also situated in Maharashtra and is leading producer of Leather Products in India. Kolhapur Specialty: Kolhpuri Chapals (Sandals) are world famous and exported all over the word for the quality of leather and specially the hand-crafted work. You can easily spot Kolhpuri Chapals in Indian Stores and even in stores like International Market or World's Market. Not many people know that Kolhlapur food is also very delicious, aromatic, and packed with flavor. So, that day, we ordered Kolhapuri Egg Curry and Stir-Fry to share. Once dinner was served, it was hard to resist the temptation to eat...... That aromatic scent of curry with nutty coconut flavor, served in beautiful looking traditional plates made it look like a feast, ready to be devoured! Few months ago, I came across a similar preparation of curry in an local Indian eatery. Even Vishal loved the Kolhapuri Egg Curry so much that we requested the hostess to convey our compliments to the Chef. Surprisingly, Chef specially came to receive thanks and also shared a few thoughts about Kolhapuri Cooking. And guess who was over-joyed listening the discussion?! Of course the foodie side of me... I wanted to just take all in!! 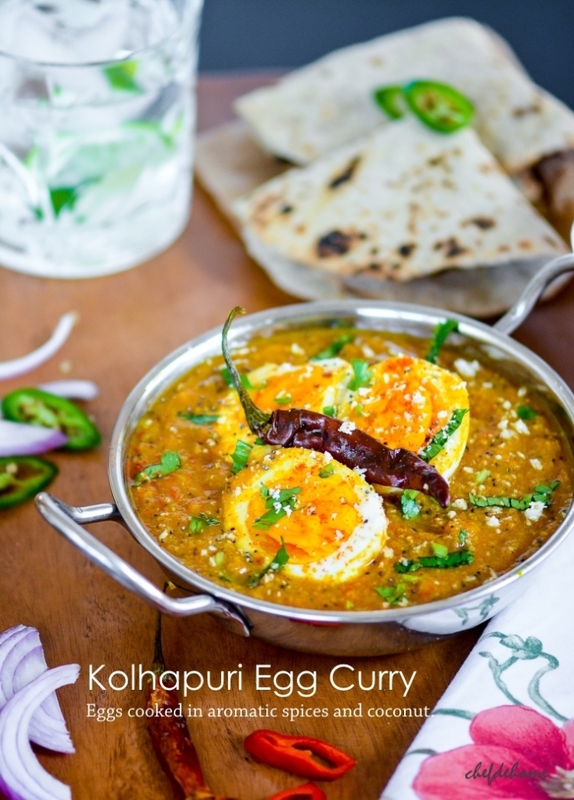 Today's egg curry is an adaptation and a quick approach, based on Chef's suggestions, about Kolhapuri masala. When I made it first time at home, even Vishal agreed that my version of kolhapuri egg curry tastes very close to what we ate in local restaurant. To me, it was like a re-visit to eatery in Pune and totally unexpected one :) Never thought, flavors which I have missed for so long...... one day.... I will be working to develop those, at home, in my own kitchen. See.... this is what makes me love blogging even more! It has given me an opportunity and thought-process to recreate many of my restaurant's favorite at home! Best part is..... I get to share all those flavors with you! 1. This curry is Gluten Free. If serving gluten free, make rice instead or serving whole wheat roti. 2. You can also use the Kolhapuri Masala Curry base for Vegan Indian Dinner. Just replace eggs with Tofu or crunchy vegetables like bell pepper, celery, and/or cauliflower. 3. Also, curry is dairy-free, nut-free, and soy-free. PS: If you want to learn more about Kolhapuri masala and cooking.... wait for some days.... 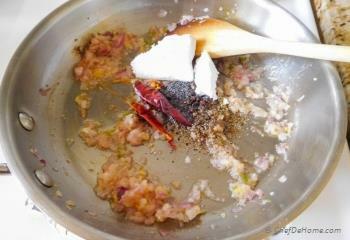 I will share a complete post one making Kolhapuri masala from scratch (still my favorite approach towards cooking). Total Time 25 minutes Prep Time 5 minutes Cook Time 20 minutes Difficulty Easy Yields 2-3 Servings Serves 3 Notes No. of servings depends on serving size! Smart Swap Don't have Garam Masala? 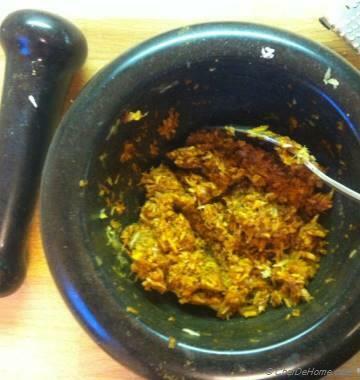 I often replace Turmeric and Garam Masala with one teaspoon Curry Powder. 1. 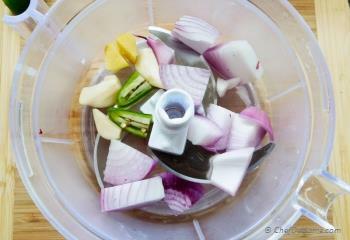 In a food processor, process onion, garlic, ginger, and hot green chili pepper to a coarse paste. 2. Heat 1.5 tbsp oil in wide, heavy bottom saute pan. When oil is hot, add onion mixture to pan. 3. 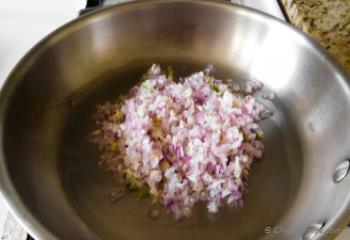 Cook until onions are soft and start to brown at edges. 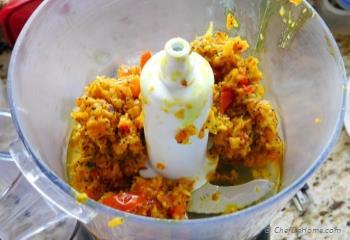 (4-5 minutes) Then add spices: whole red pepper, poppy seeds, black peppercorns, garam masala, turmeric, and coconut. 4. Saute until spices are fragrant and coconut has toasted a bit (about 1-2 minutes) Add chopped tomato and 1/4 teaspoon salt. 7. 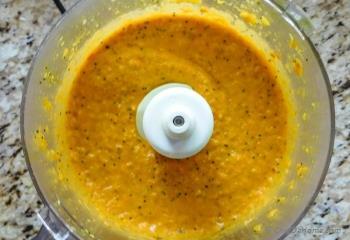 Process to make a smooth puree. 8. 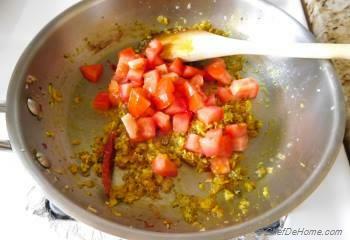 In the same pan in which you cooked masala, add remaining 1/2 tbsp oil and add sliced eggs, cut-side down. Cook for 1 minutes to give a rich color and aroma to egg slices. 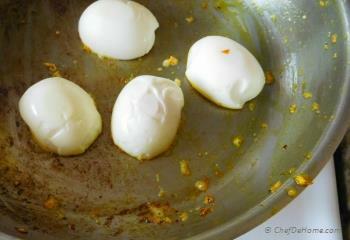 Remove eggs from pan and set aside. 9. 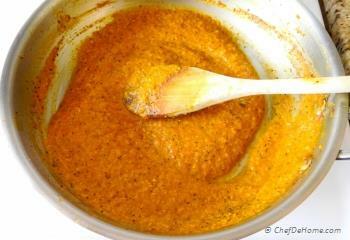 In a same pan, return the pureed kolhapuri masala with one cup of water. Bring to boil, then simmer until desired consistency. 10. I cooked it for 4 minutes on medium heat. 11. Add eggs and continue cooking for 2 more minutes. 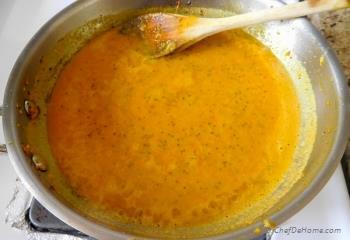 (add 1-2 tbsp more water if consistency gets too thick) Remove from heat. Taste and adjust salt. Garnish with cilantro leaves and serve hot with chapati! You can also use leftover devil eggs for Kolhapuri or other egg curries. You can even use Tofu to make vegan curry! Prepared yesterday My family enjoyed it a lot. Really yummy!!! Shiney, I'm glad you enjoyed egg curry. Thanks for sharing your experience with us. Out of this world! Best egg curry I have ever had, thanks!! Cannot wait to try your other versions. I'm glad you enjoyed my egg curry recipe this much. Thanks for sharing your experience with us. I appreciate it. Made this last night and it was delicious - added some cooked potatoes and peas to bulk it out a bit. Maria, I'm glad you enjoyed egg curry. High five for 5 star rating. Hi there, thanks for the feedback. I'm glad you enjoyed egg curry. High five for 5 stars!! 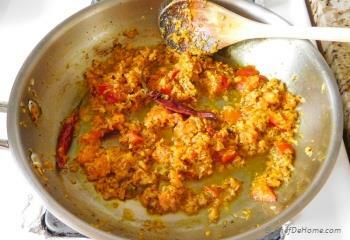 Started on one recipe on your site, for one egg curry, then two, and before I knew it I&#39;d added LOTS of your recipies! But tho we are having a heatwave here, I think I&#39;m going to do this one tomorrow. I loved this curry the first time I made it. I have made it so much I almost have it memorized. Because I am alone I have cut the eggs down to two which means more sauce, good to the last spoonfull. Sathya, thanks my friend! I appreciate your kind words. This dish is absolutely gorgeous! I've never had eggs in curry before. That was so nice of the chef to come talk to you and give you some tips so you can make this beautiful curry! Rachelle, thanks! Seriously, knowing more about food is always so exciting and since I always wanted to taste the curry I ate in Pune, Chef's advice was a great gift for me! I must admit that I've never heard of egg curry before. (Confession: I didn't grow up eating Indian food, so it's a whole new world to me!) But this looks delicious! I know my wife would be a fan, too, so I need to give this a shot soon! Awesome curry, Savita. I can imagine the mouthwatering aromas as well as the taste. 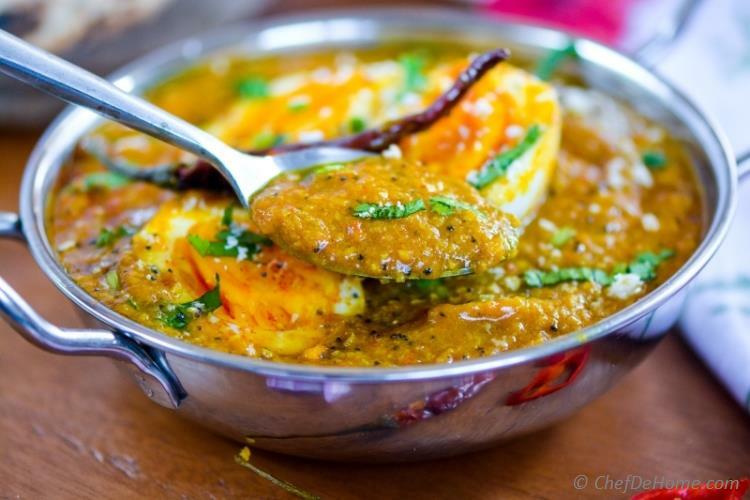 This Kolhapuri Egg Curry is to die for! Super super tempting and look at that gorgeous golden color. It's amazing. Savita! This looks wonderful! We are big curry fans and adore the flavors in here! :) thanks, Kelly! Glad you like it! Looks so delicious Savita! 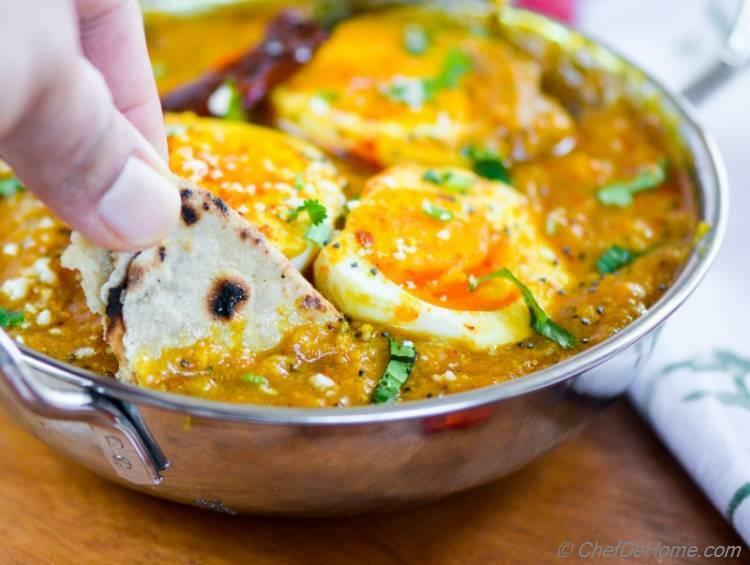 I've never had egg curry, but would love to try it! Kushi, thanks! I'm glad you like it!